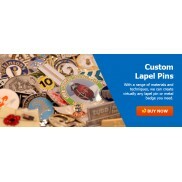 Lapel Pins & Metal Badges come in full colour graphics and range from a high quality, full colour, jewellery-like finish with hand-crafted detail, to a simple die struck pin with an antique finish. BASIC ARTWORK AND SETUP CHARGES ARE FREE. Cloisonné badges offer a high-quality jewellery-like finish with hand-crafted detail. Cloisonné is a process that has been used for thousands of years. The enamel pins are filled with coloured powder, twice kiln fired at 800°C, then hand polished to offer a scratch and fade resistance surface. Cloisonné is the most hard wearing of our badges but tends to be the most expensive because of the care taken in production. Attachments: Most common attachments are spur nail with metal butterfly clutch, or safety brooch pin. Ask us if you want different attachment options. Imitation Hard Enamel is a modern process (invented in the early 1990s) which creates a very similar badge to Cloisonné but has a lower cost and gives a wider range of colours to choose from. Hand-filled colour resin is fired at 80-90°C, then polished to become a smooth, flat surface. We commonly use iron as a base material, but other options are available. 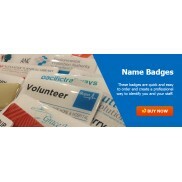 Soft Enamel is our most cost-effective enamel badge, yet the quality is still very high. Similar to Imitation Hard The enamel is hand-filled below the level of the raised areas of metal so that, when it is baked at 160°C and polished, the surface remains textured. There is an option to add an epoxy finish to protect the enamel and create a smooth surface. Die Struck Badges without Colouring are the same as the above-mentioned badges except no coloured enamel is used. The recessed areas can have added textures or effects to help the details stand out. Antique plating works well for this kind of badge. stain or matte effects and different texture backgrounds. This is a specialty of ours and allows us to achieve a lot smaller details that could not otherwise be produced in a regular die struck, enamel badge. Depending on the design, we use different types of printing processes and/or enamels to achieve the right effect. Either offset or silkscreen printed, offering full colour reproduction with outstanding detail onto either bronze, stainless steel or aluminium and then kiln fired, after which they are design cut, clear epoxy resin is then applied. There’s the option to include a metal border. If you are providing us with your own artwork/logo/etc please send in .eps or .ai format if possible (especially if order is urgent). Other file formats (e.g. .jpeg, .pdf) are acceptable as we can recreate the artwork. We can create basic artwork from scratch. Any additional/complex artwork will incur a $20.00 per proof charge. 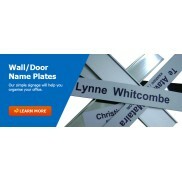 Manufacturing Artwork will be created for final sign off before production begins. NB. Any artwork charges will be credited to customer at completion of order. Approximately 2 days to prepare Manufacturing Artwork, then 20-25 Working Days from approval of Manufacturing Artwork – obviously the sooner we can have confirmation of order then we can give you the best service and time frame. Incomplete orders once Manufacturing Artwork has been commissioned will incur a $100.00 charge. Cancellations after order has been confirmed will incur a $200 die/mould charge and/or any other production costs. 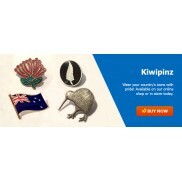 If you're not sure where to begin, feel free to email info@badgeworks.co.nz. We'll be happy to help you with the design and any decisions that need making about the materials, process, size etc. Generally we recommend a size of approximately 25mm, however we can make the badges smaller or larger, depending on which size suits best. This is often down to personal preference however some designs work better with particular processes. If you send us your design we can recommend the best options. Can I get the badges made earlier than 20-25 working days? It takes a while to produce the badges from start to finish, however, depending on the factory's schedule, we can attempt a rush order for an extra fee.